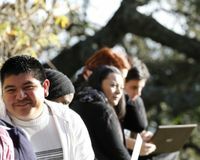 With a commitment to promoting educational equity, inclusion, and a sense of belonging and wellbeing for all of our students, the Division of Student Success supports initiatives that serve tomeet the needs of the ‘whole’ student, using research-based, innovative best practices that enable UC Santa Cruz students to thrive academically, professionally, and personally. 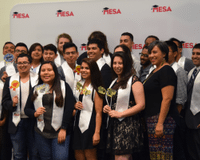 Funded initiatives seek to improve graduation rates and time to degree for all students, with a particular emphasis on historically underserved students. Student success is not the sole responsibilty of the student, but requires alignment with campus policies, processes, and ensuring a positive climate with adequate resources available to our students--particularly those at highest risk. Efforts must occur at all levels in the university, be coordinated, and mutually reinforcing. The Division of Student Success funds projects in four broad areas: Promoting Academic Excellence, Transforming Classroom Pedagogy, Easing the Transition to College, Improving Climate and Promoting Sense of Belonging and Wellbeing. 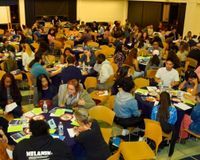 With student success funding, we facilitated a 2-hour interactive conversation with first-year, first-generation college students on the Cultural Transition to UC Santa Cruz, where they learned about, discussed, and reflected on the cultural and psychological consequences of transitioning to college. 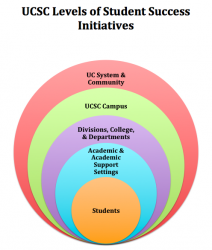 We also launched the UC Santa Cruz First Generation Initiative, a visibility campaign now in its first year. 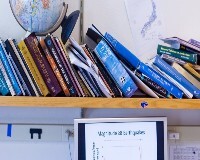 The math placement and preparation system ALEKS PPL (Assessment and Learning in Knowledge Spaces, Placement, Preparation and Learning) was adopted by UC Santa Cruz in 2015 on the strength of the accuracy of placement over a wide range of skill levels and the integrated review and learning support. 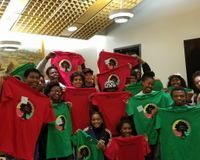 Student success funds were used to support a 6-day residential orientation directly serving 36 African/Black/Caribbean (ABC) first year (Frosh and Transfer) students hosted by the The African American Resource & Cultural Center (AARCC). The Academy was held prior to Welcome Week and included 11 mentors. The Academy is designed to provide a support system and create a seamless process for ABC students to successfully acclimate to college. The purpose of this project was reach out to incoming UC Santa Cruz students via a calling program and provide them with information to help navigate the admissions process, ensure they were aware of upcoming deadlines, and prepare them for summer orientation and fall enrollment. We also wanted to extend a warm welcome and answer any questions they might have. 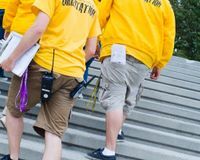 Orientation is essential for students and families to become familiar with the University’s resources and support services. Orientation places a strong emphasis on providing students with individual support so they feel comfortable and confident about their choice. We especially want students that are first generation or have little support from home to feel that they are being taken care of when they are here. 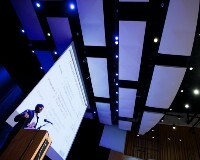 Including parents and family members in Summer Orientation was the goal of this project. Our goal with this project was to increase the proportion of newly enrolled frosh in 2017 from Local Control Funding Formula (LCFF+) high schools by 2 percentage points over the previous fall. 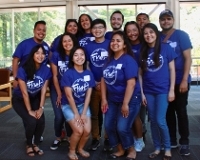 Given the campus' enrollment goals, it is critical that UC Santa Cruz expand efforts by reaching out to historically underserved and underrepresented California students and their families. 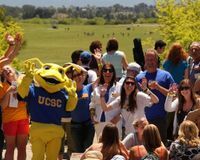 Engaging them earlier in the admissions process will build a stronger connection to UC Santa Cruz and increase enrollment. 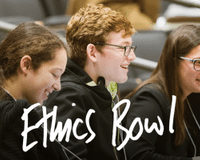 The UC Santa Cruz Center for Public Philosophy hosts the Northern California Regional High School Ethics Bowl (HSEB) every fall. HSEB is a national debate program emphasizing critical thinking, philosophical reflection, and respectful dialogue about pressing contemporary ethical issues. 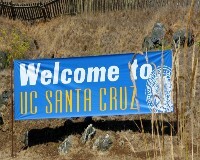 UC Santa Cruz has hosted the Northern CA regional Bowl for four years. 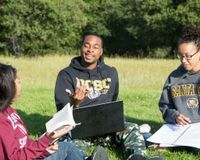 The Educational Partnership Center comprises ten, long-standing outreach and academic prep programs and is the first point of contact for K-12 schools and community colleges with UC Santa Cruz. With student success funding, EPC launched the Educational Access Program (EAP) with the aim to increase the college application and enrollment rates of low-income, first-generation, and underrepresented students. The learning outcomes for our Writing courses (Composition 1 and Composition 2) and English Language Writing-Required course have changed. Funds were used for professional development for Writing Program faculty who teach these courses. The ten UC Santa Cruz Colleges, "Core" classes are poised to undergo a major conceptual change in Fall 2018, shifting from first-quarter writing courses to first-quarter reading and critical thinking courses. Called “College 1”, these classes will become the first part of an articulated critical literacy curriculum that continues, after Core, with a sequence of writing courses. This project expands research on affordable housing in Santa Cruz County, engaging underrepresented and low-income students in faculty mentoring and community-based research. Participating students gained professional and research skills: interviewing protocol, data collection, analysis, critical thinking, web design, and collaborative problem-solving. This two-unit, STEM (Science, Technology, Engineering, and Mathematics) class, entitled “Strategies to Jumpstart your STEM Learning”, developed with student success funds were designed to address inadequate preparation for STEM courses by introducing, supplementing, and expanding students' existing repertoire of science/math problem-solving skills. Education research indicates that early research experiences improve retention for students from groups that are underrepresented in STEM. 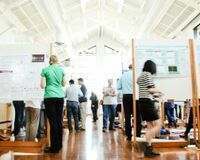 Funds were used to support the design and implementation of a research-based course for first-year and transfer students. The Use of Language project was designed to assist Writing 20 students (Winter 2017) in honing their abilities to edit at the sentence level for grammar and punctuation through an online intervention “Core Grammar for College”—a self-paced set of grammar, punctuation, and style modules. Certificate Program in "Advising Today's Students"
Funds supported development of a certificate program for academic advisers entitled, "Advising Today's Students." The goal of this training is to improve retention and graduation outcomes for UC Santa Cruz students by providing research-based, practical knowledge, and a theoretical background in concepts such as stereotype threat, recognizing micro-aggressions, and the power of a growth mindset as well as providing information and background on the policies, procedures, and resources available to UC Santa Cruz advisers. Nationally, only 40% of college students who indicate an interest in STEM majors actually graduate with STEM degrees. 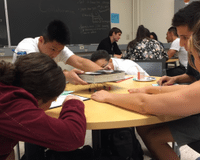 With an ultimate goal to boost this statistic at UC Santa Cruz, the Academic Excellence Program (ACE) used student success funds to expand programming especially targeted for EOP and underrepresented STEM students. 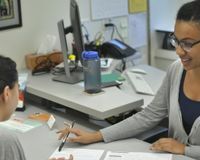 With a mission to address academic equity, Learning Support Services (LSS) offers peer tutoring and supplemental instruction to over 6,000 students annually. LSS uses several strategies to accomplish its mission: outreach, hiring of tutors, and course selection that prioritize the needs of students who come from underserved communities such as EOP. Student success funding for the Mathematics, Engineering, Science Achievement (MESA) Program (MEP) provided increased academic and support services focused specifically on transfer students in engineering. The goal of this project was to establish a Spanish-based writing center for upper division students in the Spanish Studies Major. With one-time funds, the Spanish writing center, Puño y Letra, opened its doors in early January with a physical location in the Humanities building. 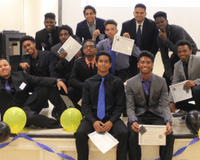 The Men Of Color (MOC) program is designed to serve men of color with a specific focus on Black men through a sustained experience and with particular emphasis on successfully launch incoming frosh and transfer students at UC Santa Cruz. Student Success funding supported the Diversity Theater Project, a new program that brought two new theater productions to the UC Santa Cruz campus that addressed the current climate and heightened racial tensions experienced by our student, particularly African/Black/Caribbean and Latinx students. Slug Stories is a new initiative for College 9 and College 10. 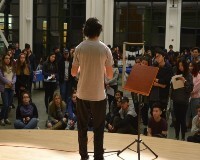 Inspired by Story Corps and Humans of New York, the creation of a story archive of all entering students, written early in their first year, is based on a prompt that asks students to talk about formative experiences, how they overcame struggles, grappled with identity, and explored their aspirations. The Smith Renaissance Society Scholars at the University of California, Santa Cruz, are current or former foster youth or homeless, wards of the court, or orphans — those students who have experienced neglect and/or abuse and do not have the traditional safety net of family.